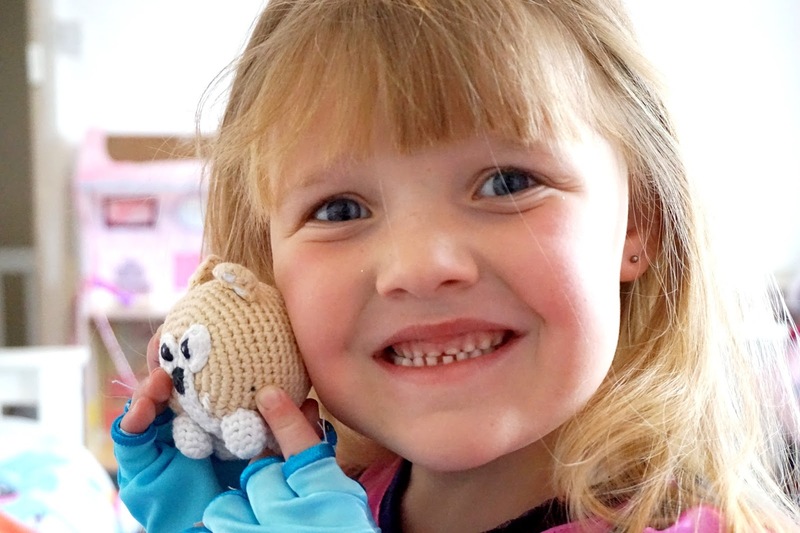 Mia and Elliw have always loved their cuddly toys, especially Mia. They're a huge comfort for Mia, and her whole bed is literally covered with teddies, small, medium and big! 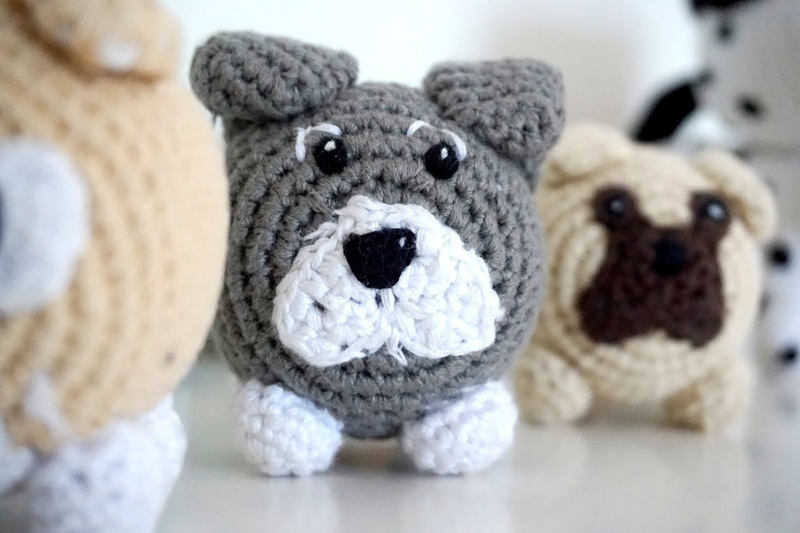 Anytime I see an adorable little teddy, I instantly know Mia would fall in love with it. 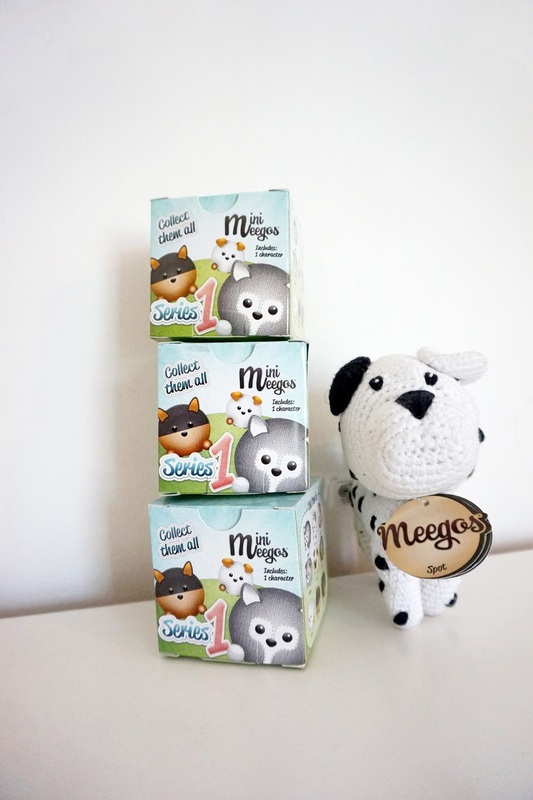 So when we were sent some Big and Mini adorable Meegos, I knew that Mia would absolutely adore them. 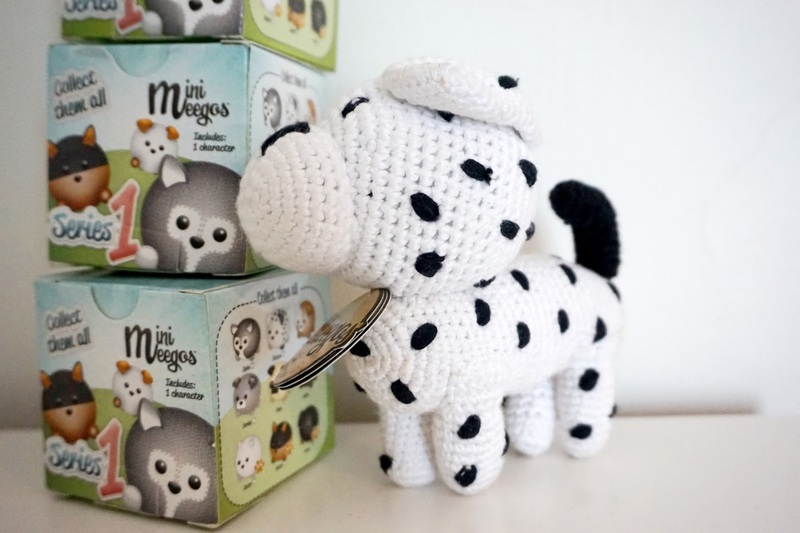 Meegos are high-quality cuddly crochet friends, and they are absolutely adorable. 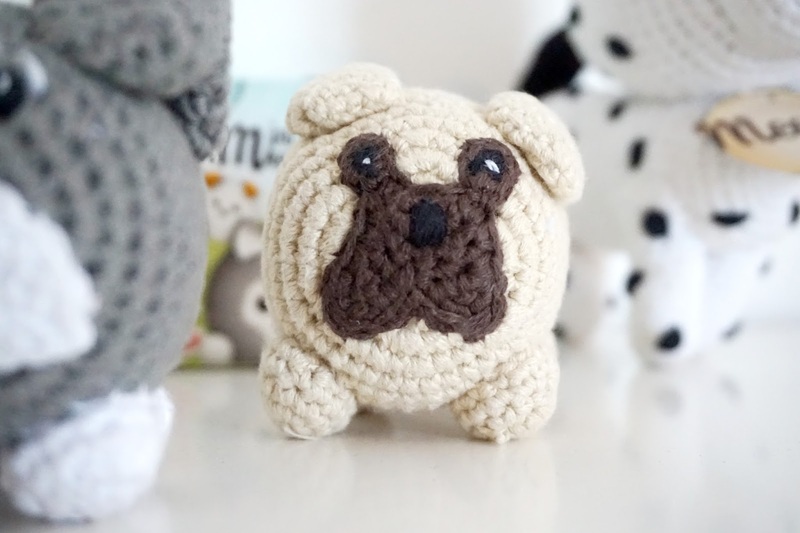 They are unique, and I can see them being quite popular with little ones and any collectors out there. 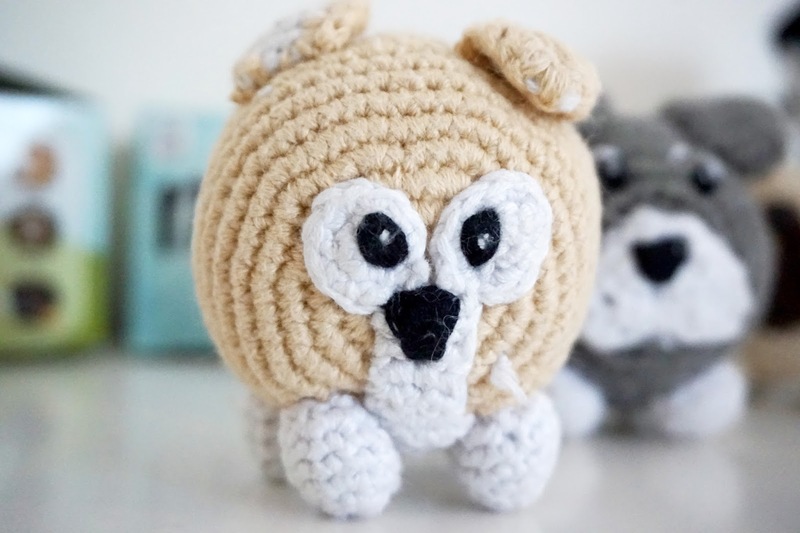 Not only are these Meegos unique in how they look, but there's also a great story behind each making of these cuddly crochet toys. Each and every Meego is handmade in Bangladesh through workers co-operative. It's making a big difference by helping create 4,000 jobs for women in over 200 villages. Each 5 inch (large) Meego characters take five hours to make the Mini Meegos takes 1.2 hours. I think it's absolutely amazing that these adorable little Meegos have given so many women in Bangladesh flexible, sustainable and regular employment. It's amazing, and the hard work put into every single character is definitely noticeable. They are such high quality and the detail put into each one is amazing. We were sent 3 Mini Meegos and 1 big Meego. In series 1 there are 9 Meegos to collect. Mia and Elliw were over the moon with what they got. 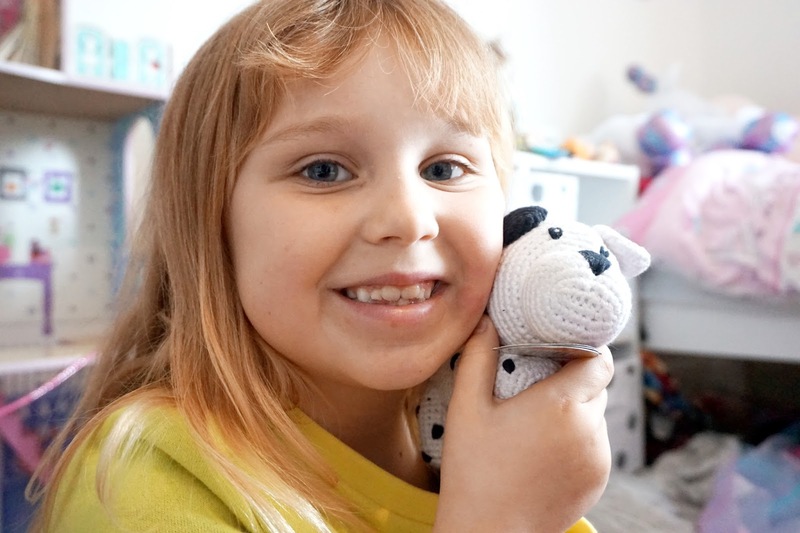 Mia's favourite was the adorable pug dog, and Elliw's favourite was the 5-inch dalmation, called Spot. All the Mini Meegos are individually blind-boxed, which makes it even more exciting for the kids. Who's kid doesn't like a surprise?! 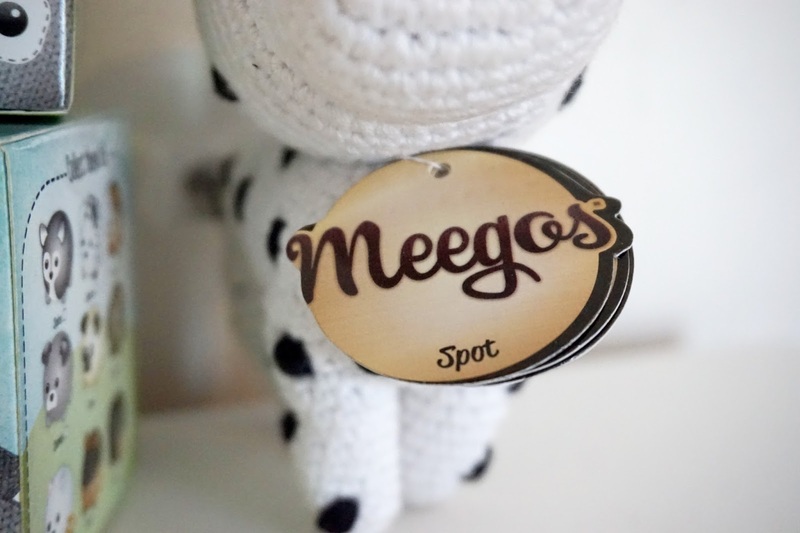 Every large Meego has a label on their ear to say who their pups are. 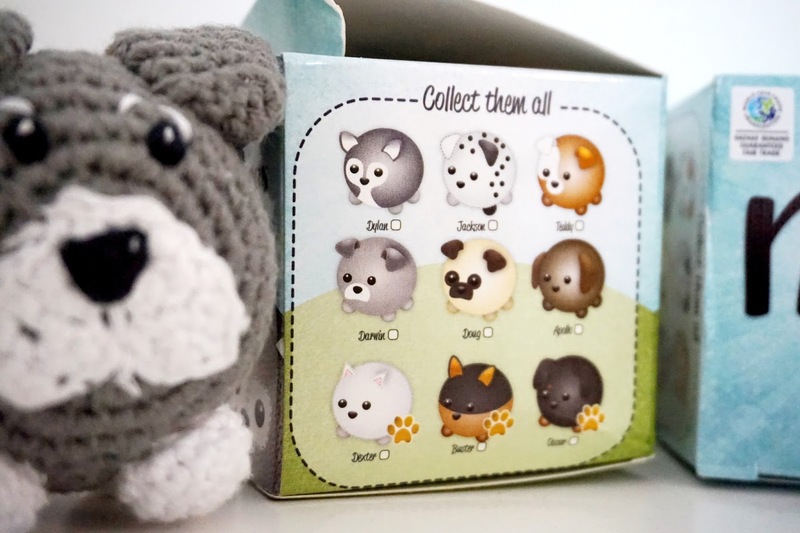 This will make collecting even more exciting, and there are 18 Mini Meegos to collect. You can check out the mymeegos.com website to check out more. Also, keep an eye out for their Series 2, featuring Wild Animals, later this year! 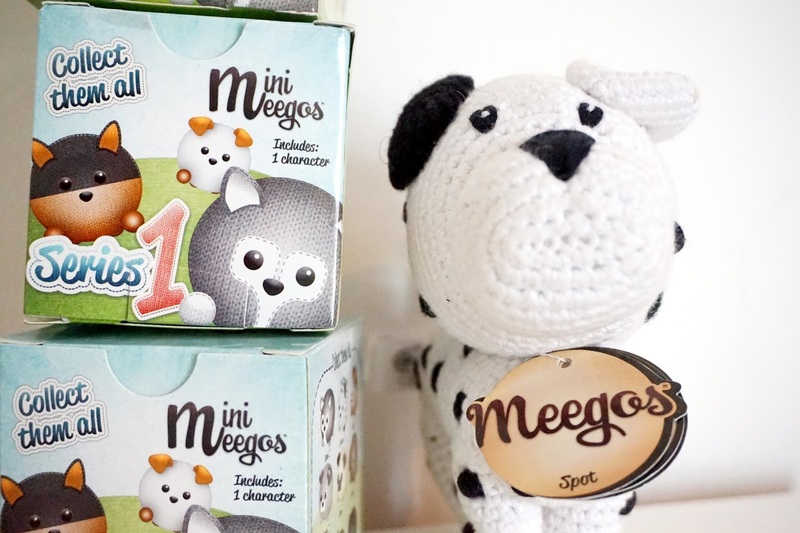 Mini Meegos and Meegos are available at selected Sainsbury’s and Debenhams stores. * We were sent these products free of charge in return for an honest review.